If you crave hearty Brazilian cuisine, then Via Brasil at the Wyndham Garden Manama in Juffair is where you should head to. 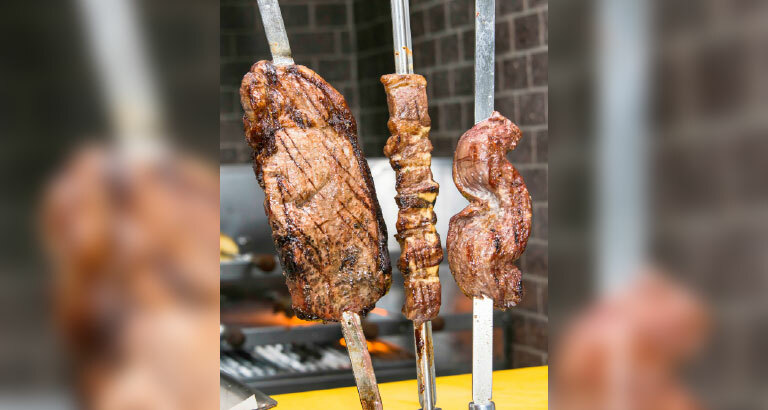 This Brazilian-style, all-you-can-eat barbecue restaurant is a unique venue where you have unlimited cuts of juicy meat served straight to the table. Traditional passadores (meat waiters) come to your table with skewers speared with various kinds of meat — beef, lamb, chicken, and even delicious grilled pineapple. Guests can also take their pick from a wide selection of salads, hot appetisers and side dishes, as well as an extensive drinks selection to complement the meal. Located on the rooftop of the hotel, Via Brasil affords views of Bahrain’s fantastic skyline. The restaurant is open from 7pm-2am.